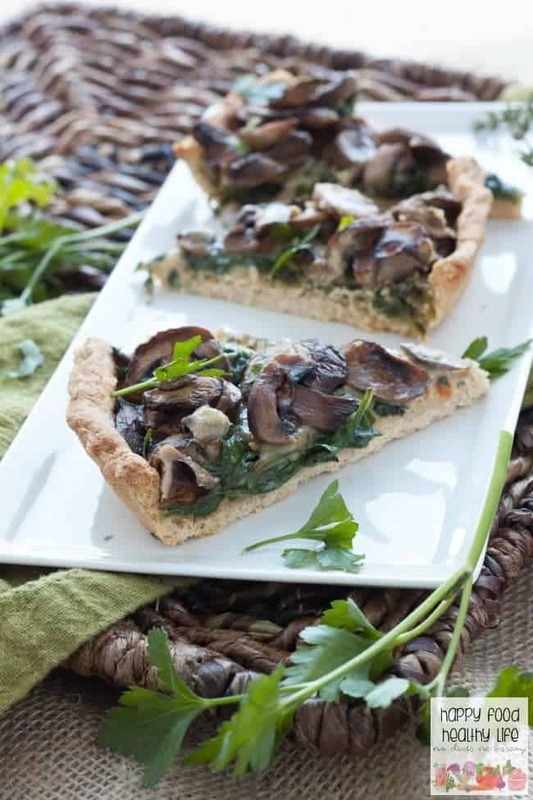 This Mushroom Spinach Tart is the perfect way to include a meatless dish at your next dinner. 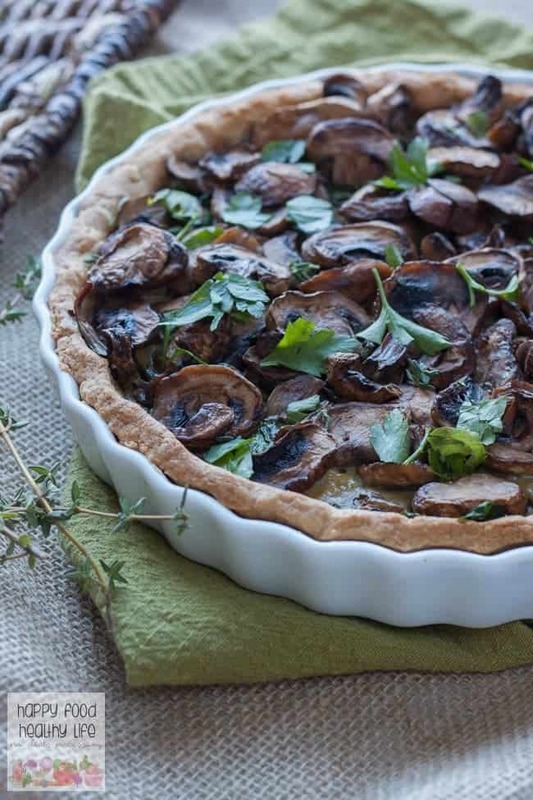 With a whole wheat crust and warm cheese, this savory tart is all comfort food! Thanksgiving is right around the corner as you know. 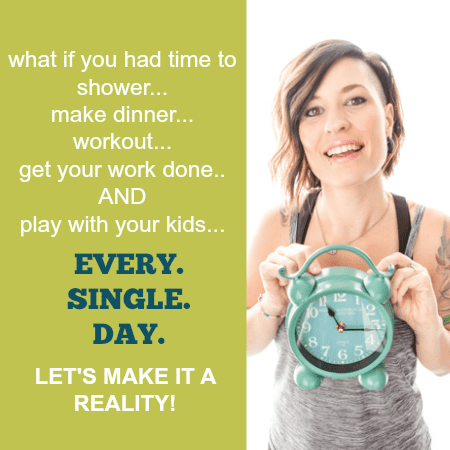 What are you in charge of making? Are you hosting dinner or celebrating thanks somewhere else? I’m in charge of green bean casserole and apple pie at my mother-in-law’s this year. I make the classic green bean casserole every year because that’s what everyone loves. You know, the one off the back of the French’s Onions can. Totally not my idea of a healthy real-food recipe, but it’s a favorite, and I aim to please. The apple pie. Well I’ve been making my Classic Caramel Apple Pie for almost 10 years and everyone asks for it year after year. I have to admit, it is quite amazing. But if it was totally up to me, the Thanksgiving feast would look totally different. It would have a few of the traditional foods like stuffing and mashed potatoes, but they would be amped up. The stuffing would be homemade and not from a box like everyone loves. The mashed potatoes would be smashed and roasted potatoes. It would be different every year. I know tradition runs strong in most families. They know what they want, and they often don’t care for change. I can understand and respect that. But one day when I have the space to do so, I’m going to host a Thanksgiving of my own, and it’s going to be a combination of fresh foods that are healthy, adventurous, and 100% animal-friendly without any loss of flavor. 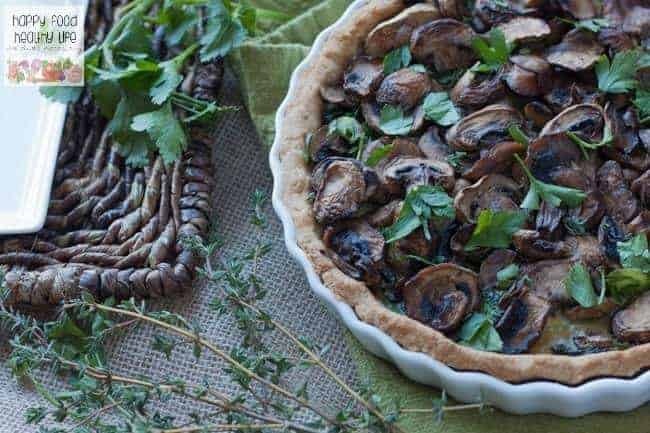 I can guarantee that this delicious and savory tart will be served front and center. Whether it’s for an appetizer or as part of the full spread, I belongs either way. I know you can’t see if under all those flavorful mushrooms, but there’s another layer of spinach underneath. And below that is a layer of smooth and creamy goat cheese mixture. My GOODNESS, I can’t get enough of it! I will say, I was actually really scared to make the tart crust because, I swear, crust can be hit or miss, and with it being whole wheat, it could have been a disaster. I am thrilled to say that the crust came through without a fuss and the flavor is such a perfect savory and butter pairing to the delicious veggies and cheese. So what will it be? A traditional Thanksgiving this year? Or something a little more daring? Dare you to serve this up to your vegetarian guests! 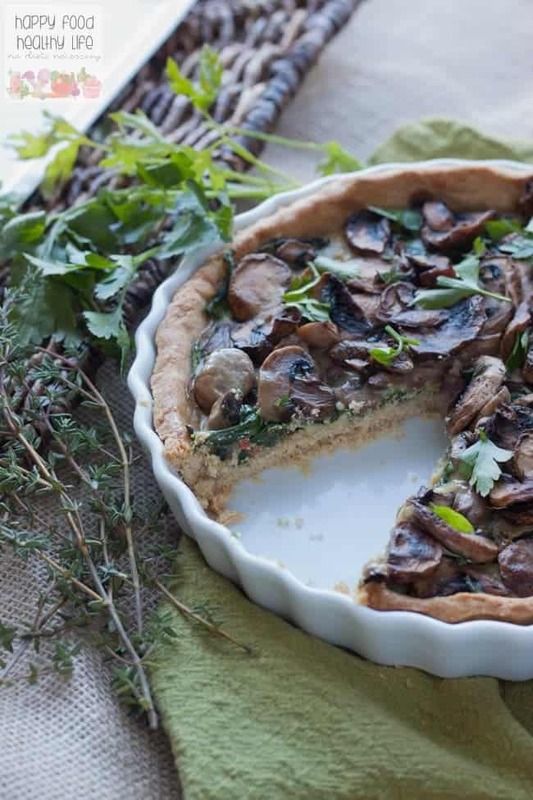 A Savory Vegetarian Tart that would make the perfect addition to your feast. In a food processor, pulse flour and salt to combine.Cut one stick of butter into small cubes. Add to flour and pulse until pea-size pieces form. Drizzle in the ice water and process just until the dough starts to form a ball. Remove from food processor and knead dough briefly to blend. Preheat oven to 425 degrees F.On a floured surface, roll out the dough into a circle. Transfer to a 9-inch round tart pan. Press in evenly. Prick the dough all over with a fork; refrigerate for 10 minutes. Cover the dough with parchment and fill with pie weights or dried beans. Bake for 10 minutes. Remove the parchment and pie weights; reduce the oven to 375 degrees F. Bake until golden. 15-18 minutes. Transfer the crust to a rack to cool completely. In a large skillet, melt 1 Tablespoon butter over medium-high heat. Add mushrooms and cook until most of their liquid has evaporated and the mushrooms are soft and brown, about 10 minutes.Transfer mushrooms to a bowl. Melt the remaining tablespoon of butter in the skillet. Add the spinach and cook until softened, about 6-8 minutes. In a small bowl, whisk the goat cheese, milk, eggs, and a pinch of pepper. Spread the mixture over the crust. Sprinkle spinach evenly on top of the cheese layer. Cover with the mushrooms. Return the tart to the oven; bake just until the cheese mixture sets, about 15-18 minutes. Sprinkle the tarts with parsley and thyme. Mushrooms are such a delicious, highly under-rated ingredient! They also make meatless dishes taste so hearty. 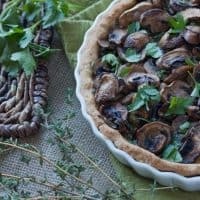 This tart sounds perfect, and your photos are beautiful! !